Our Grandparents Day sign is unique to your specifications, we can personalize it for you. 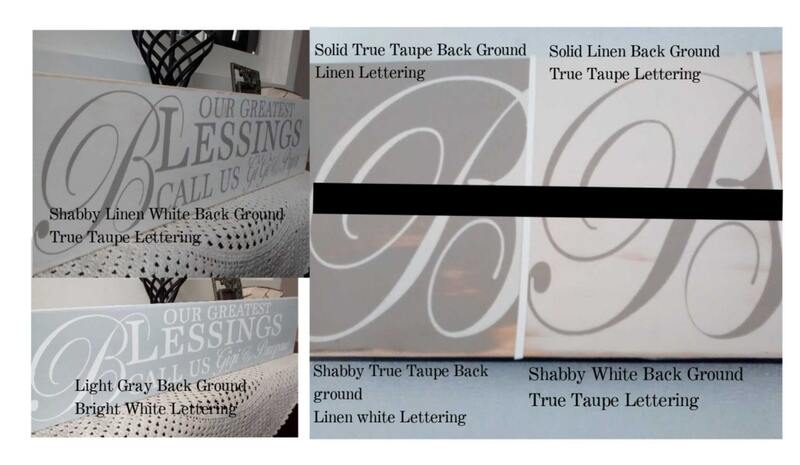 When you personalize your sign, we are able to add your grandparents names, Nana, Papa, Nonna, Memaw, GG, Grandma, Grandpa, Aunts' name, Uncles' name, Teacher, etc. 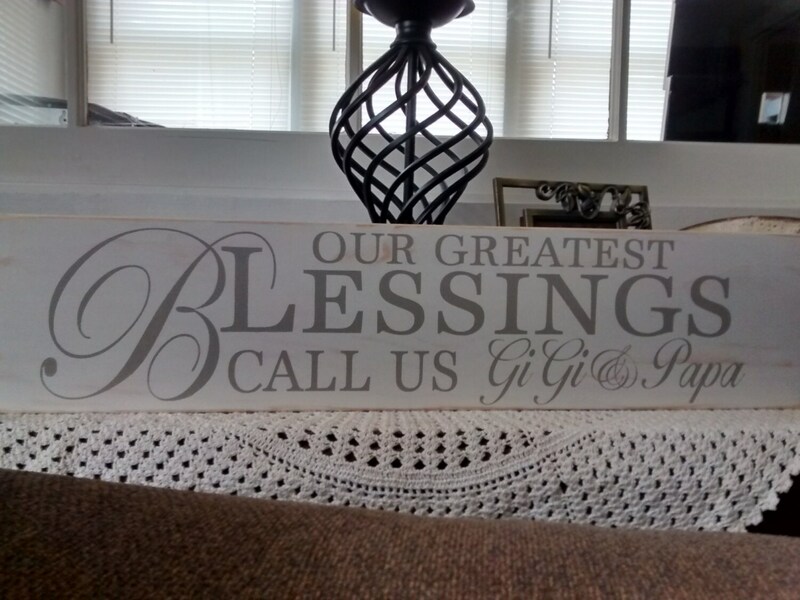 Our grandparents Sign also features a fun saying, Our Greatest Blessings Call Us. We DO NOT use vinyl stickers on our signs, you can expect the lettering to last and remain beautiful as they are hand painted. Plaque measures 5.5" x 24" , are made from quality solid wood not a manmade material, so expect slight imperfections in the wood, we do our best to find the perfect board, however with a natural product, nature most always add character, they are ready to hang with a sawtooth hanger attached. We do not paint the back of our signs so we can pass the savings on to you. 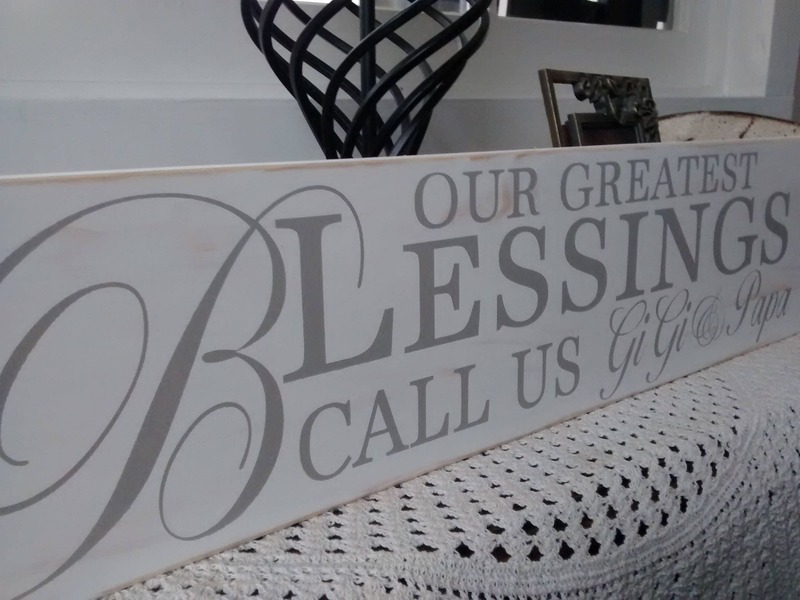 This Grandparents Name Sign was designed by Oak Ridge Prims to be a enjoyed and add a personalized touch to your home decor. 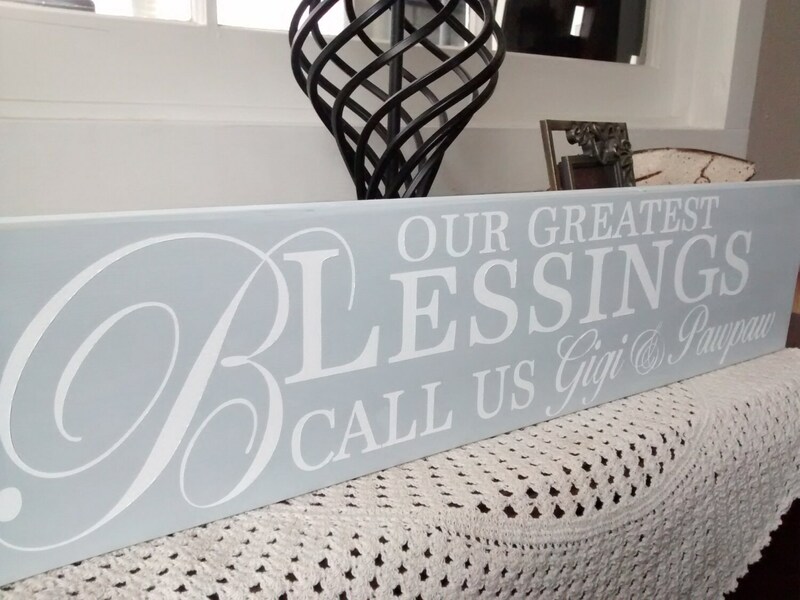 Grandparent Signs look beautiful and make a specialized personalized Gift, with a memorable reaction. This gift is unique and usually gets heart warming response, especially when you add your own framed picture to start a picture wall. It's absolutely perfect! It arrived very quickly. Will definitely order again! Beautiful sign! Cannot wait to give it to my parents (Mema and Papa) from my son! I would share a picture but its wrapped already! Delivered in a timely manner and wrapped and labeled incredibly well!!! I was very happy to see that!! The grandparents loved it! Item was exactly as described and shipped quickly. Thank you! !